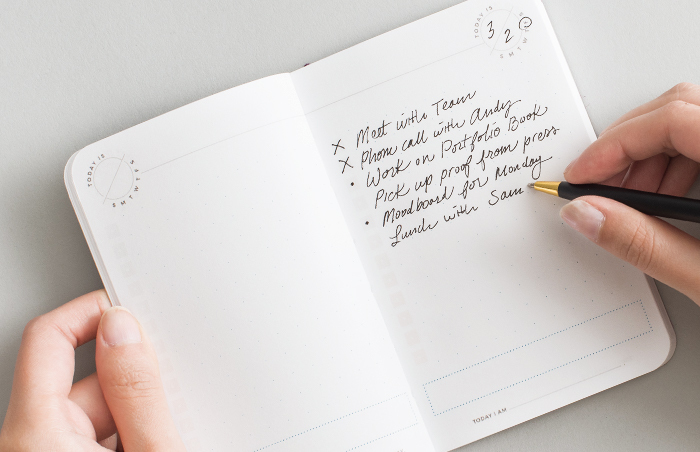 The Today Pocket Planner is a premium, compact, dateless task planner designed to help you get today's to-do's done. These thoughtfully designed planners shed the unnecessary complexities of the planners of yesteryear and focus on what matters today. The planner is made with a softbound fine linen foil-stamped cover, smythe-sewn binding, and kraft calendar bookmark. Each acid-free premium dot-grid page features a blank date field, gradient checkboxes, and a versatile focus section. 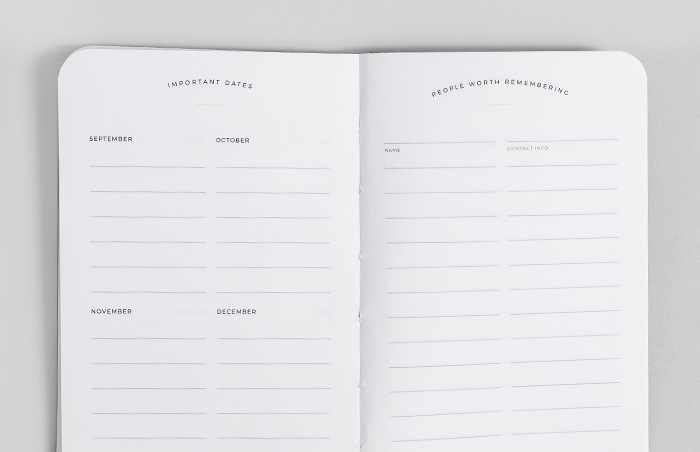 Plan outside the lines with Today Pocket's freeform dot-grid pages, ideal for versatility. Never forget your place or the date with the included kraft calendar bookmark.